With the Tampa Bay Rays having taken a 2-0 lead, a runner on base and Francisco Liriano falling apart at the seams, it felt like the perfect time for the Blue Jays to “send a message”. At least, that’s what Kevin Kiermaier believes, as he told Tampa Bay reporters following the Blue Jays’ 8-4 victory over the Rays. Kiermaier let it be known he was “pissed off” about getting hit by a stray pitch from Liriano. From Kiermaier’s postgame comments, without saying it outright, Kiermaier believes Liriano hit him in the hand on purpose. I find that incredibly hard to believe. Liriano surrendered five (FIVE!) walks in 3.2 innings of work. He sits third in the American League with 20 walks total (one behind co-leaders Yu Darvish and Blake Snell with 21 walks). Among all the American League starting pitchers who have thrown at least 25 innings, Liriano’s 6.91 BB/9 is the worst. 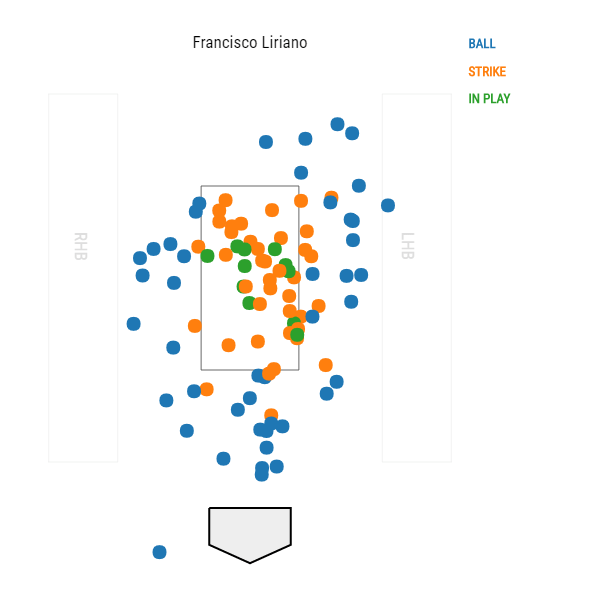 Even on his best nights, Liriano is erratic and has trouble controlling the strike zone. So why would Kiermaier take exception to a pitch being thrown up and in from a pitcher who notoriously has control issues? 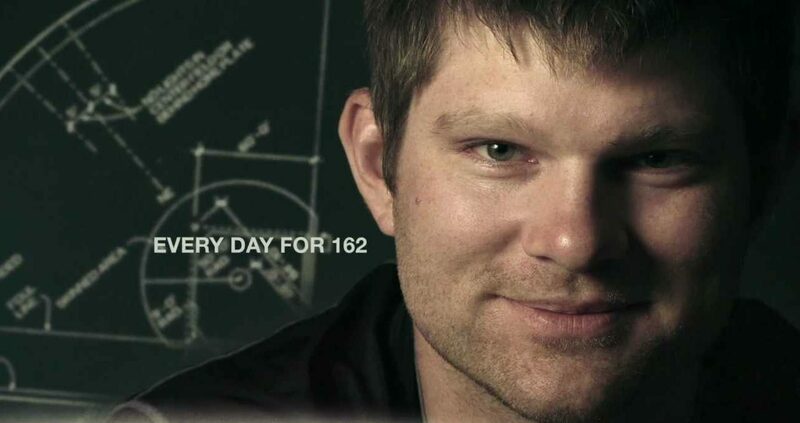 Does this look like a guy who had control on the strike zone? It all likely stems from the events of last weekend, which saw Steven Souza Jr. struck on the hand by an inside pitch from Joe Biagini. The following afternoon, Chris Archer curiously threw a pitch behind Jose Bautista; arguably, retribution for what happened the game before. From the Blue Jays’ perspective, these were two pitches which simply got away. It just so happens they both struck Souza Jr. and Kiermaier flush on the hand. However, it sounds like the Rays believe there may have been some malice behind these occurrences. More #Rays Kiermaier on HBP by Liriano: "It ticked me off… Something I'm not going to forget. …I'm not happy about it." With all the craziness which has taken place between the Red Sox and Orioles over the past few weeks, I’m afraid we may see some sort of retaliation by the Tampa Bay Rays this weekend. Kiermaier was clearly upset and one of his teammates may feel an obligation to “protect” him by throwing at a Blue Jays player. Of course, that would be idiotic and borderline barbaric of the Rays to strike back for a hit by pitch which looked completely accidental. Judging by Kiermaier’s choice of words after the game, he doesn’t feel Liriano’s actions were all that innocent. No one ever wants to see a player injured by a pitch to the hand, wrist or heaven forbid, the head. But up-and-in pitches are an everyday part of baseball. You know what isn’t? Balls thrown behind the back. The exact kind of pitch Archer threw to Bautista last weekend. I hope things don’t escalate between the Rays and Blue Jays because baseball doesn’t need another Red Sox/Orioles beanball rivalry to materialize. This old school “you hit one of ours, so we’ll hit one of yours” is childish and there’s nothing to be gained from it. That means the remainder of this Blue Jays/Rays series will be worth keeping a close eye on, because it wouldn’t surprise me at all if a Rays pitcher tried something against the Blue Jays this weekend. Worst case, Bautista texts Rasmus, asks what Kiermaier’s beverage of choice is and has a nice bottle of it in his locker tomorrow. This is hopefully just post injury frustration. Deep breath boys.